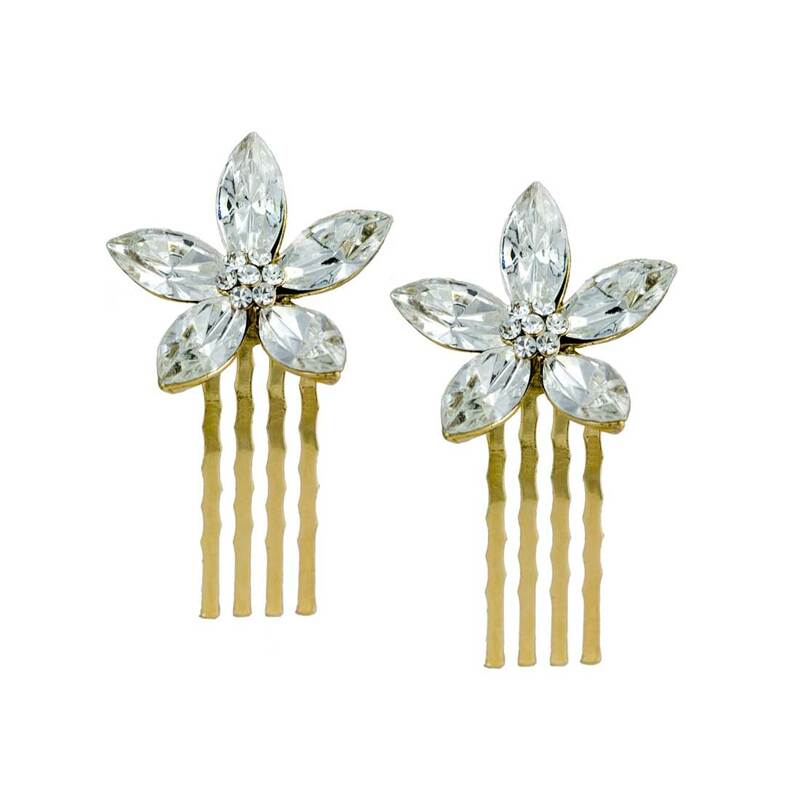 Scatter this pair of crystal flower gold hair combs in your hair for luxurious and feminine style. Divine antique gold tone hair combs each featuring five sparkling clear marquise Austrian crystals which form a beautiful flower. These classic hair accessories look exquisite pinned into an up-do or loose tumbling curls and just amazing when several pairs are scattered throughout the hair. Perfect wedding hair combs for brides and very pretty for bridesmaids too.